Proof positive that eventually everything gets finished. I don't even know how many months ago I posted a picture of this quilt top, but it wasn't yesterday I'm pretty sure. 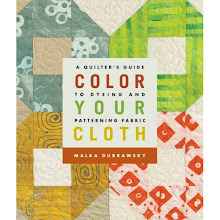 It's not that the quilting was difficult or even the binding. And, for those of you who don't believe me, I'm telling you, the bias binding on this shaped piece was not particularly complicated. It's just that the top got put on the back burner and was a wee bit forgotten. 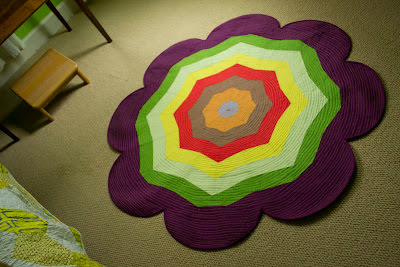 But, I have plans for this quilt and several more and variations of this quilt and several more, so finish it I must. For those who are interested in the details, the quilt measures about 47" in the diagonal and was machine pieced and quilted. This design first appeared as these in last year's Quilting Arts Gifts issue. Is there any way to still get this pattern? I'd love to make a throw quilt-rug for my daughter's room. I love your version. OMG! It's beautiful! It would be an awesome play mat for a little baby girl!!! Or great wall art! So pretty! did you dye those fabrics? they are so vibrant!! I love it, so pretty. Wowza! That is so impressive and beautiful! Love it! 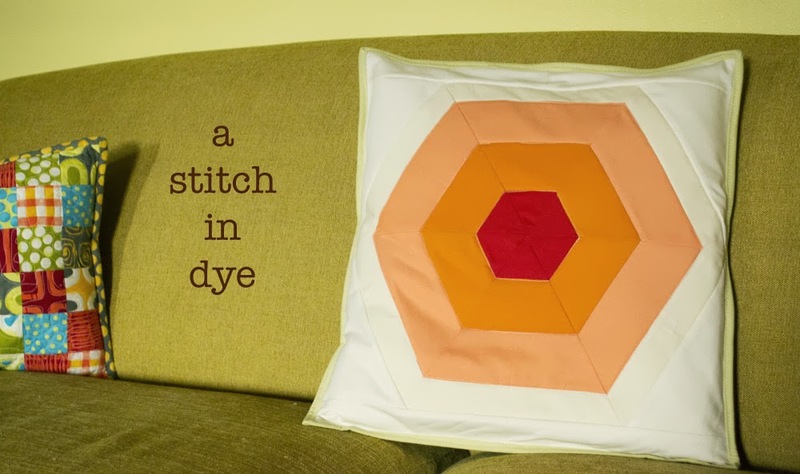 The nontraditional size, the bold colors, the quilting, it's a great quilt. Let's meet up on Instagram! Hi and welcome! I'm an artist living in the best city in Texas. I love all things fiber and taking pictures of those things and maybe a few more. I get a huge kick out of your comments, so keep them coming. If you have a question, please leave it in the comments section and I'll reply there as well. If you'd like to email me, my address is malka@stitchindye.com.